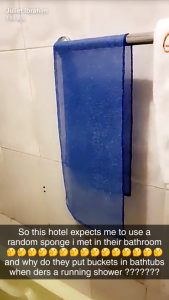 Ghanaian actress, Juliet Ibrahim who lodged in a hotel in Kogi state was furious at the sponge and bucket she found in the hotel’s bathroom. 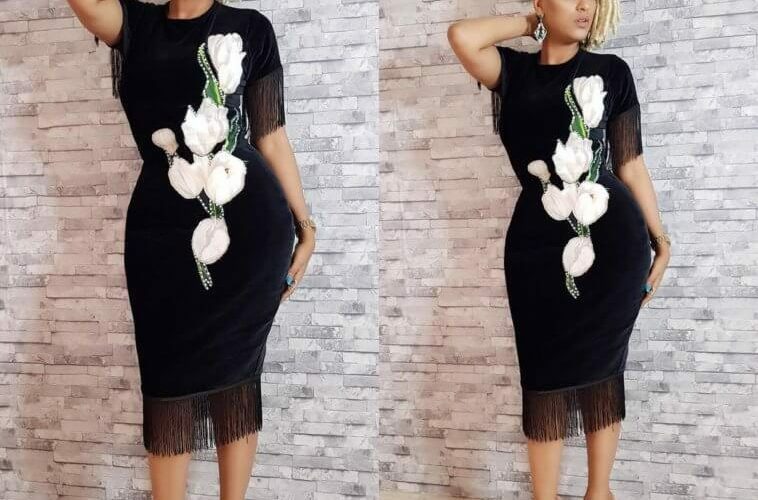 The actress said her fans “have no idea” because she’s in Kogi state because of work. She expressed her dissatisfaction on Snapchat as she posted the photos of what she saw.